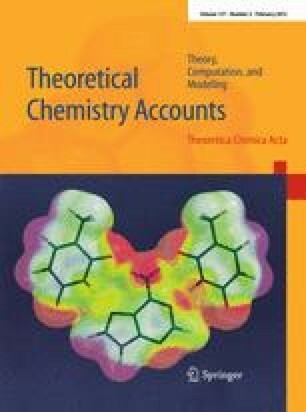 The dissociation of 1,3-cyclobutanedione radical cation was studied by ab initio direct classical trajectory calculations at the BH&HLYP/6-31G(d) level of theory. A microcanonical ensemble using normal mode sampling was constructed by distributing 10 kcal/mol of excess energy above the transition state for the tautomerization of the keto-enol to the diketo form. A total of 210 trajectories were run starting from this transition state, yielding chemically activated 1,3-cyclobutanedione radical cation. The majority of the trajectories resulted in CH2CO+· + CH2CO, with the activated CC bond breaking nearly twice as often as the spectator CC bond. The non-statistical behavior is observed because the rate of energy redistribution within the molecule is comparable to or slower than the dissociation rates. In addition to the expected products, dissociation to CH2COCH 2 +· + CO and formation of a proton-transferred product HCCO· + CH3CO+ were also seen in some of the trajectories. Dedicated to Professor Vincenzo Barone and published as part of the special collection of articles celebrating his 60th birthday. This work was supported by a grant from the National Science Foundation (CHE0910858). Computer time made available by Computing Grid of Wayne State University is gratefully acknowledged.